Thanksgiving is one of the biggest holidays of the year, where most people spend time with their family and remember what we are thankful for every year. It is also a holiday where devouring all of the Thanksgiving food like turkey, stuffing, mash potatoes, and gravy are forgiving. The only issue with that is you may not be able to button your pants post- meal. After this great holiday of heavy eating, you may be considering ways to burn off those extra calories you put on, and the answer to that is to shop till you drop. Most of everyone has heard of Black Friday and Black Friday sales. This is probably the biggest shopping day of the year because it is the beginning of the Holiday shopping season. Shopping the day after Thanksgiving has been a tradition for my family and me for a long time, but the use of the term Black Friday didn’t become widely used until the 2000s. Since most people have the day off after Thanksgiving, it gave retailers a reason to offer big sales, Black Friday Deals, to attract people to go shopping. They also offered “Door Buster” sales for certain products with a limited quantity at a first come basis. Door Buster sales were considered the best sales of the day, which people stood in lines well before the store even opened for the day. Stores would open early Friday morning to start off the Black Friday shopping. Now some stores even open the day of Thanksgiving to start off their Black Friday sales. With the growing popularity of the Internet, online shopping has also become extremely popular. A lot of people are learning the beauty of online shopping rather than going to the mall or the store at midnight after Thanksgiving. Online shopping offers people the ability to avoid the cold, crowds, and chaos of Black Friday shopping, although some people enjoy the chaotic shopping experience. Stores and online shopping sites offered Black Friday sales to online shoppers. It also brought Cyber Monday, which is a market term used to persuade people to shop online on the Monday after Thanksgiving. Cyber Monday sales are considered to be comparable to those of Black Friday. Amazon is a big participant of Black Friday and Cyber Monday sales. Amazon is even offering sales now, what they call “Early Black Friday Deals.” From now through Cyber Monday, Amazon could offer big sales on electronics, electronic instruments, drum set accessories, and electronic drum kits. Black Friday sales 2018 and Cyber Monday sales 2018 could be a great opportunity to get your electronic drum kit or get one to gift your loved ones. 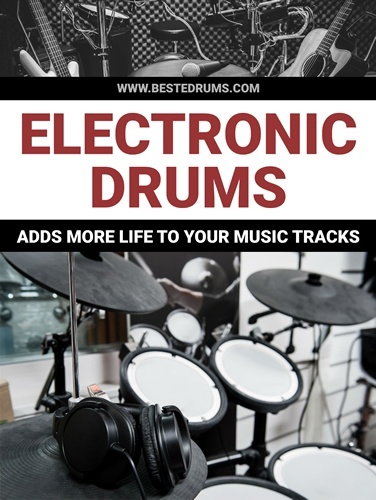 In order to get a head start and not waste time searching for products, we recommend reading our electronic drum set tips and reviews to find the best electric drum kit. Here are some possible Electronic Drum Set Black Friday Deals. Revisit our site over the next few days and we’ll update this article to let you know what deals are coming for any electronic instruments, especially any electronic drum kits. Hope everyone enjoyed the 2018 Thanksgiving Day with the family and friends. Now the family party is over, it’s time to go SHOPPING! For those who went out to the early Black Friday sale events at your local retail box stores (Walmart, Target, and Best Buy opened their doors at 6 pm) on Thanksgiving Day, you know how crazy it was during the night. I drove to a local Walmart at 8 pm and the parking lot was already crazy. I saw so many people standing on a line in freezing cold weather. Oh boy. They did not look very happy. You don’t need to stand on a line in cold weather or assume that you’ll miss the opportunity to get the best deals. We got you covered in the early Black Friday deals, but here are the deals for the Black Friday/Cyber Monday weekend. The best part is that you can get them with a few clicks and never leave the house! You can pick up these great deal items right now. Hope you enjoy your new toy!!! Hope you are enjoying shopping and stay warm!